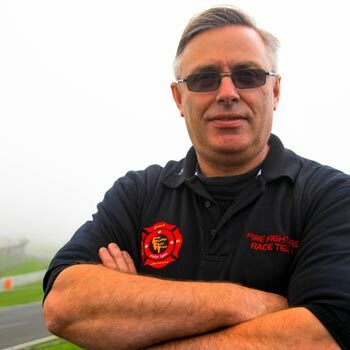 The Fire Fighters Race Team is headed up by David Franks and a small group of dedicated individuals, including serving Kent Fire Service Personnel. 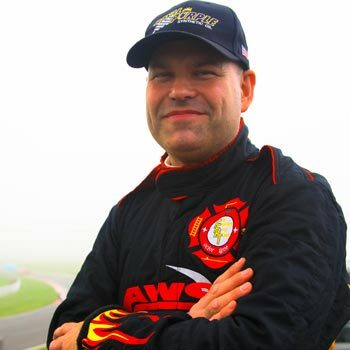 Using a race car as the heart, the team support raising the profile and charity funds for The Fire Fighters Charity and PTSD999. This helps provide inspiration to others. 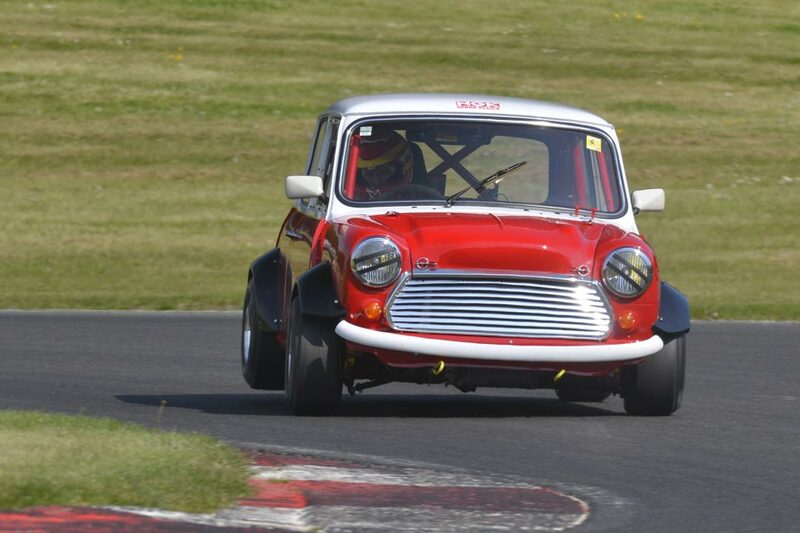 The race car is used at many fundraising activities including car shows / events / promotional work / hill climbs / sprints / track days and races, including such events as the Mini Miglia Libre Championship Mini Festivals & Classic Sports Car Club and competing in the World Famous Time Attack. Having won many trophies to date, the team strives on with the amazing support and financial help from sponsors and dedicated individuals. For more information on upcoming events and race team news please visit our Facebook page and our Twitter page, or to read more on the race car, our all important sponsors, or if you can help support/sponsor the team please contact us, please see below. Team Sponsorship is available in a variety of packages, shapes and sizes, and can provide exposure and awareness for your company and of your important support. 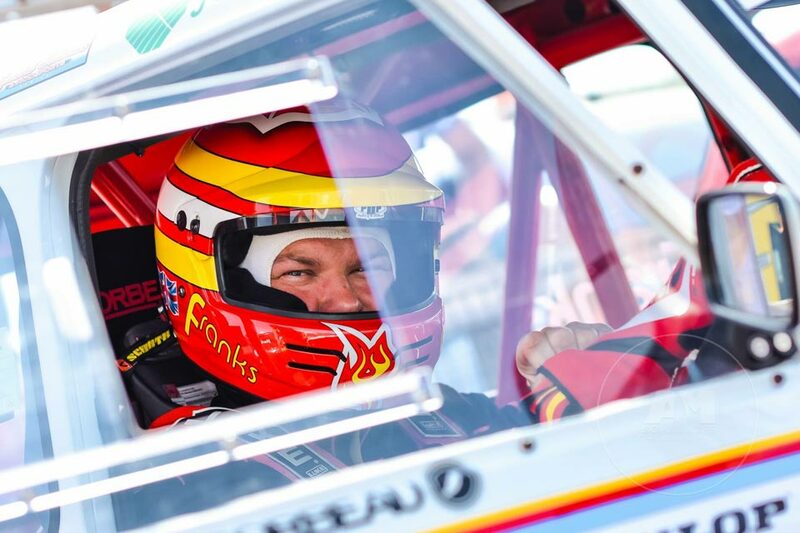 Logo and name specific opportunities include placement on the race car, driver suits and helmets, support vehicles and website with exposure through PR and various social media channels. Financial donations cover overheads and help to cover build costs and parts for the race car (for example engine costs, spares or brakes), whilst material or discounted donations help towards services, parts, marketing material, signage, I.T. and PR. For more information or to enquire please contact us, or visit our current sponsors by clicking on their logos below (you can also view a comprehensive list of those that have supported us over the years). If you wish to support the build and upkeep of the race car itself, you can do so by donating through our dedicated PayPal account. PTSD999 is an independent and privately funded organisation that supports all members of the emergency services, including serving and retired, voluntary, family and friends. Unique in the way it provides support, the majority of its trustees, administrators, doctors and counselling staff have served in the Emergency Services and/or Military, and suffered PTSD or have close ties with someone who has. This enables the organisation to understand exactly the unique un-written bond that ties everyone together. PTSD999 also provides Trauma Response Awareness Training, including simple, complex and vicarious, psychological health and safety, assessment and treatment of PTSD. Click here to visit the PTSD999 website where you can read more about their fantastic work and also donate. 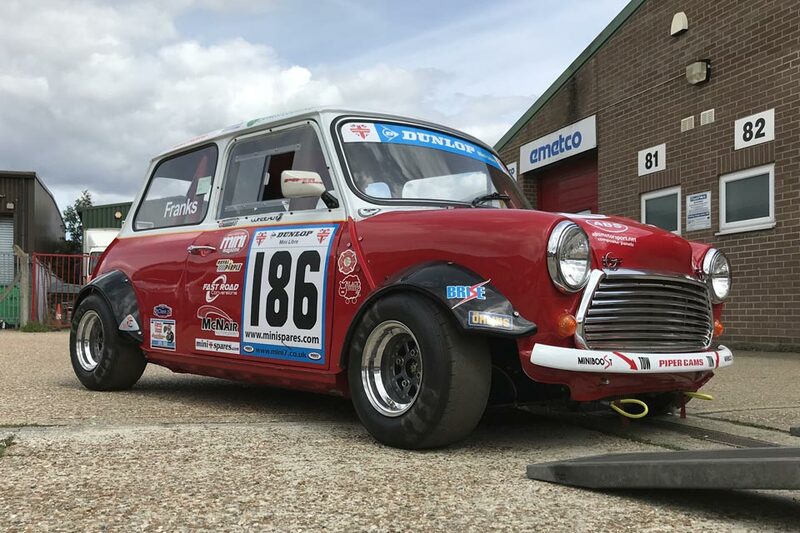 Classic Mini, 1978 Mk3 manual 1000cc body shell, Custom Minis supplied Glass fibre doors with lightweight Retrosport alley hinges with the side and rear windows being the best AWS windows. Boot floor removed and refitted with Custom Minis GPR floor. 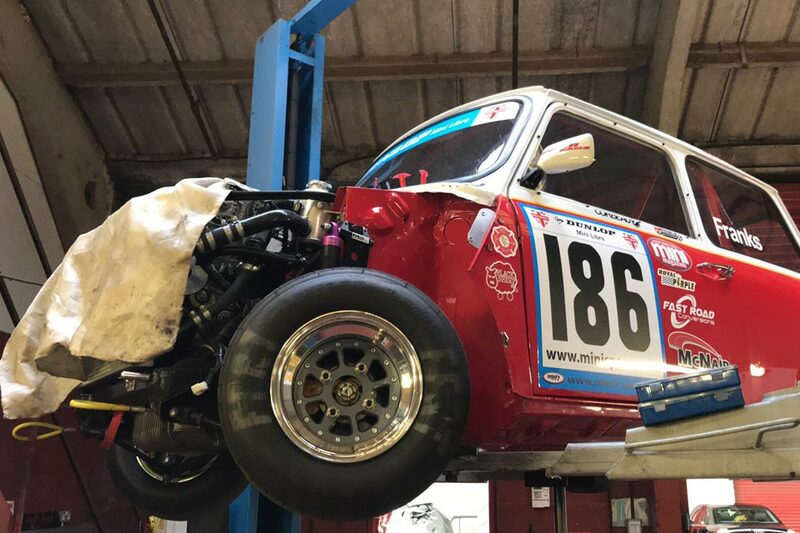 Front wings removed and new ABS motorsport bonnet, Custom Minis GPR removable front end and lightweight headlamps and high power LED bulbs. Original baulk head removed and new one fitted to take 5 port engine or 16Valve. Carbon fibre bumpers fitted and Curley Miglia arches. Safety devices bolt in T45 16 point roll cage, FIA padding. Colour, Vauxhall touring car Flame Red with Ford Zetec White. Standard working Mk2 rear and standard Wipec front lights, LED indicators, brake and rain LED from lifeline. Classic 1275cc A+ @ 1380cc 16v. Fully built by Kent Automotive Development to full Race Spec. Jenvey throttle bodies, Forged pistons, steel internals, Piper Cams extreme Race Cam set KAD specific, Race paddle clutch, Piper 4 branch manifold with Maniflow reverse megaphone with Fast Road Conversions rear section & silencers. Swiftune Catch tank, Brise race alternator and starter. MED Miglia Alloy front mounted radiator. OMEX 600 ECU, 10 row oil cooler, NGK race plugs and bespoke silicon leads, Various KAD and retro sport engine mounts. Bosch electric water pump and Alley swirl pot. Lift and Primary fuel pumps with 25ltr fuel tank and cosworth swirl pot. Power approx 180BHP @ 120 ftlbs torque. KAD built MED dog box, four speed SC/CR gear, drop gears, Swiftune supplied Quaife 14K ATB, Limited Slip Differential. 3:9 crown wheel and pinion, Hardy Spicer outputs and Minispares race hardened drive shafts, Minispares Clutch, flywheel, backplate and diaphragm. All round Qauntum dampers, Minispares yellow spot rubber cones, KAD front tie bars, KAD rear camber brackets, extended heavy duty steering arms, Minispares adjustable lower arms, seam welded and strengthend front subframe, solid subframe mounts, seam welded rear subframe, Minispares reconditioned rear trailing arms fully built up, Mondosport suspension front top mounts. Front KAD 4 pot callipers, carbon metallic pads, 7.9" dia ventilated and grooved discs, non servo. Rear Minifin drums with standard brake shoes, Cooper S adjustable brake bias valve and hydraulic handbrake, various bespoke Aeroquip, Copper tube and Goodrich brake lines. Specialist Components and Force 10"x7" competition wheels with Dunlop full slicks and full wets. Fully stripped out interior, Rear pockets, door internals and dash fully removed. Seat backs reinforced, rear shelf removed and Alley Plate installed. New steering wheel drop section, adjusted steering column and Lifeline Quick release boss, Minispares Quick rack steering. Corbeau personalised built Race seat and Luke 6 point Harness, Sparco steering wheel, 12volt planet supplied electrical parts, switches, cables, fuse blocks and connectors. 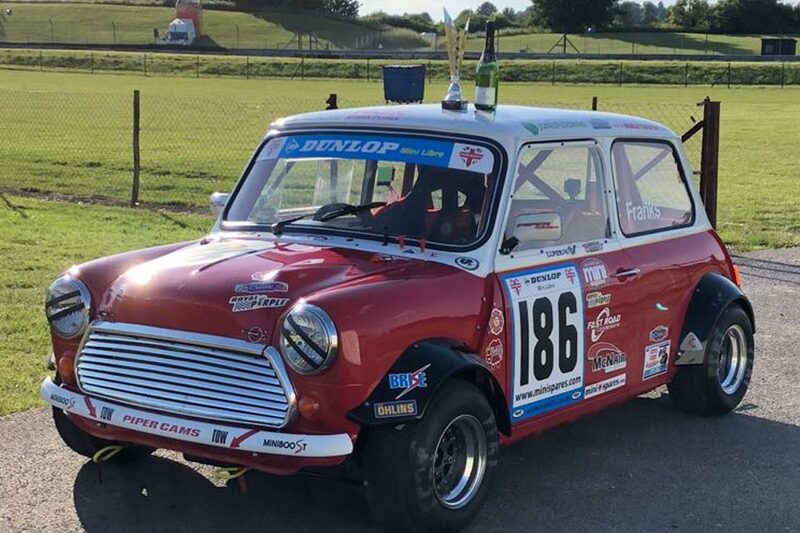 Minispares supplied TIM Rev counter 10K, Smiths Water temp and TIM Oil pressure gauges Varley lithium 5i battery and cage, FEV supplied full FIA GAS fire extinguisher system, Full custom wiring loom, KAD quick-shift gear stick, Lifeline rain light, Mini door Mirrors external and custom internal. Time Attack Normally aspirated win outright 1st place day time. Time Attack Normally aspirated win outright 1st place evening. Out right class win at Motorsport at the Palace sprint. 3rd Place overall at Rockingham CSCC swinging sixties. 3rd Place overall at Brands Hatch CSCC swinging sixties. 2nd in class at Motorsport at the Palace. Snetterton CSCC swinging sixties race outright win 1st Place. Cooper did not compete due to rebuild. Mini7 Racing Club - Mini Miglia Libre Class Championship. Thruxton Mini Miglia Libre Race - Race 1 2nd Place, Race 2 Winner. Brands Hatch Indy Mini Miglia Libre Race - Race 1 Winner, Race 2 Winner. Silverstone International Mini Miglia Libre Race - Race 1 Winner, Race 2 3rd Place. Subscribe to our newsletter and be kept up to date with upcoming events and race team news.